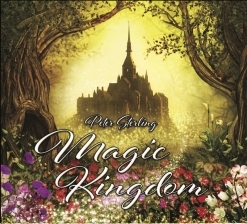 Magic Kingdom is the seventeenth studio album from award-winning and internationally-acclaimed harpist/ multi-instrumentalist/ composer Peter Sterling. Initially intended to be a children’s album for Sterling’s 7-year-old son, Micah, the music was inspired by the energy of the 2017 total solar eclipse. 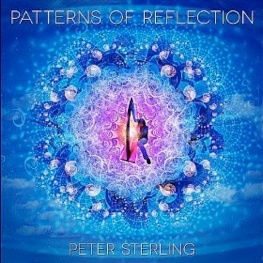 Sterling explains: “Magic Kingdom came thru a flash of light as I sat at my Korg keyboard and endeavored to express the potent energy of the sun into music. The music came thru quickly with one melodic groove following the next as if the music had been waiting for this moment to be born.” The eight tracks take listeners on a journey through the sun into a magical kingdom where they are given the opportunity to learn major life lessons and, once those are successfully completed, to be rewarded with eternal joy and bliss. 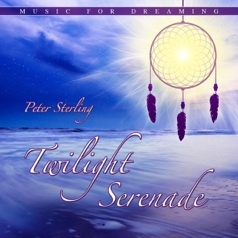 Sterling performs on keyboards, harp, recorder, Freenote chime, Peruvian wooden flute and percussion. Richard Hardy appears on two tracks playing Irish penny whistle and soprano sax, and Anthony Mazzella plays guitar on two other tracks. Micah Sterling occasionally “sings” and the album is lovingly dedicated to him. “New Horizons” starts the journey to the Magic Kingdom as we walk down the path on the way to reach the magical castle on the hill. 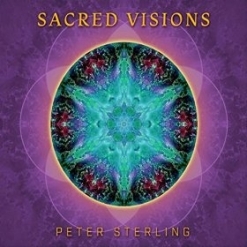 Very relaxed and ethereal, harp, guitar and keyboard sounds create vistas of peace and serenity where the specifics are left to each “traveler’s” imagination. “Joyful Journey” adds an intoxicating rhythm that would add a spring to any traveler’s step! The pace is still relaxed, but the added rhythmic energy gives our journey a sense of fun and adventure. “Over the Bridge” opens with the sounds of gently flowing water and a child humming and asking his daddy questions. Penny whistle, harp, keyboards and light hand percussion paint warm aural images of sweetness and innocence. I really like this one! Once the bridge is crossed, the traveler is given a series of challenges to learn important life lessons of courage, faith and perseverance. While the title, “Sword and Stone,” refers to those challenges, the dancelike music stays light and airy, indicating that the lessons are not burdensome. Once the challenges are successfully accomplished, the traveler is rewarded with “Everlasting Love,” as “life in the magical kingdom must have a bit of love and romance!” (quoting Sterling). Hardy’s soprano sax gives this track a smooth jazz vibe while Sterling’s harp keeps it ethereal - also a favorite. “Tomorrows Child” takes on a more mysterious feeling as we are shown the potential future outcomes of life within the magical kingdom. More ambient than melodic but never really dark, it’s a very haunting and atmospheric piece. “Kiss the Sun” sets a truly magical scene. In the soft light of dawn, flowers open and birds sing as we walk along a babbling brook. Harp, penny whistle and sweet vocals encourage the traveler to “reach for the stars.” The title track concludes the album as we reach the entrance to the castle where “all of our hopes and dreams of the life we have lived until this moment are presented to us in a kind of kaleidoscopic montage seen within the golden light of the sun.” (again quoting Sterling) This gentle piece soothes the spirit and refreshes the mind with the reminder that dreams can come true and that there is an abundance of beauty to be found if we open ourselves to it. Magic Kingdom is a delight from start to finish. It is available from Amazon and CD Baby. Recommended!